1217 –First documents confirming the presence of meat stalls on Pla de la Boqueria, as part of a series of street market located on the Rambla. 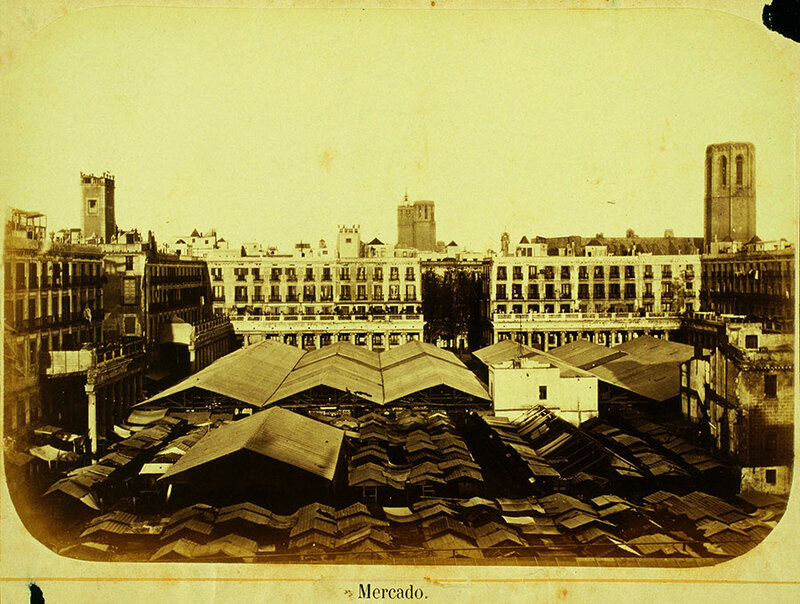 These markets consisted of temporary stalls in the open air, many of themset up by farmers from the villages surrounding Barcelona, who came to sell their wares in the city. 1777 – The gateway of La Boqueria, on the ancient wall oftheRambla, was demolished and the butchers’ stalls were moved to a series of different locations. Between 1797 and 1801,they were installed on the Rambla de Sant Josep, between the church of Bethlehem and Pla de la Boqueria. The visit of Carlos IV in 1802 led to the transfer of the stalls to the gardens of the Convent of St. Joseph, for aesthetic reasons.In 1823,they were temporarily set up on the grounds of the Convent of Carmen, and later returned to the Rambla. 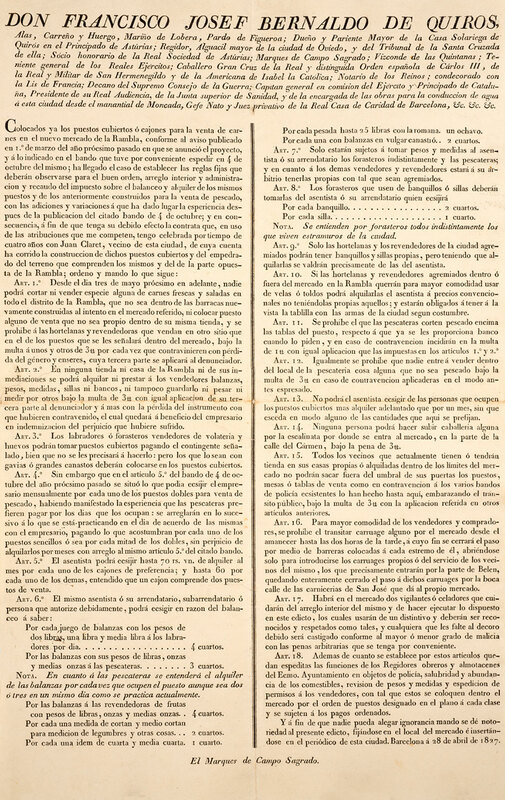 Edict issued by the Marquis de Campo Sagrado, Captain General of Catalonia regulating the sale of food products on La Rambla, in relation to the establishment of the new Market of St. Joseph on 28 April 1827. 1827 – The Marquis of Campo Sagradoimplemented the first legislation related to the market, which at that time boasted200 stalls, 100 of which sold fresh and salted meat and 48 fish, while the rest sold a wide variety of products. 1835 – Following the riots that took place on the Feast Day of St. James, the Carmelite Convent of St. Joseph was destroyed by fire.In 1820, people began to call out for the transformation of the convent into a market. After the demolition work, the traders on the Rambla movedto this site on 28 March 1836. 1836 – The city council decided to use the free space created after the demolition to build a square with arcades, using the same design as Plaça Reial, which was to be named Plaça del Treball. 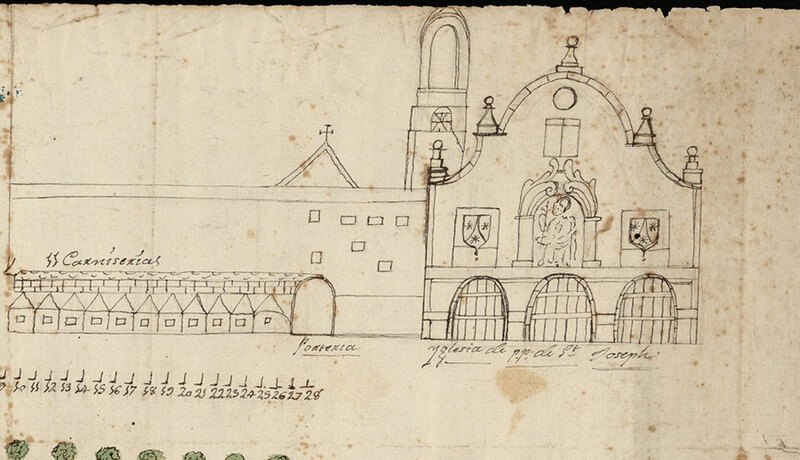 The work commenced, based on the design of Francesc Daniel Molina, but by 1840, the square was still notcompleted. 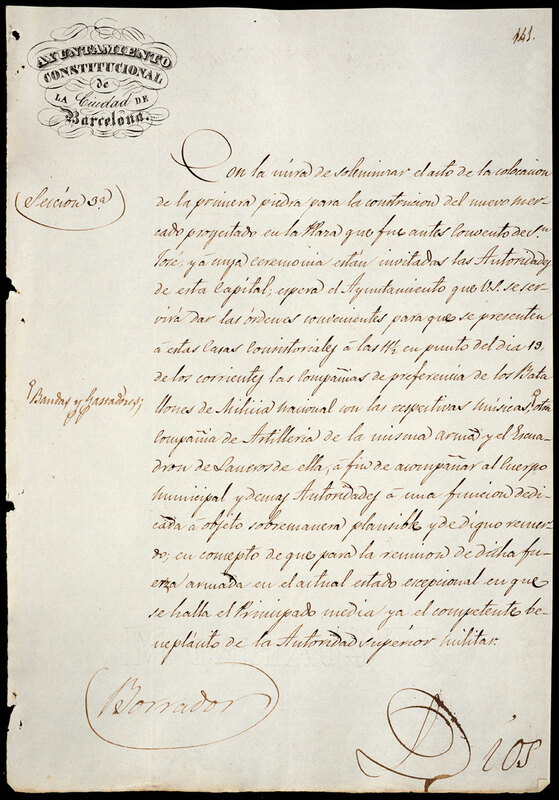 Draft of the document requesting the military authority to approve the invitation extended to companies to accompany the authorities at the Market of St. Joseph cornerstone laying ceremony. 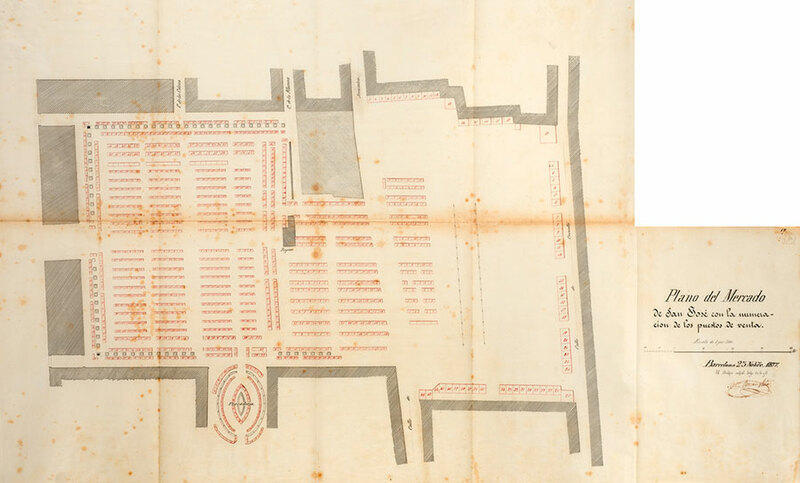 19 March 1840 – Laying of the foundation stone of the market, built in accordance with the design of the architect Josep Mas i Vila.Based on the design of the square, the central area was reserved for the stalls and the fish stalls were installed in a separate area, Plaça de Sant Galdric. The fish stalls were not transferred to the central part of the market until 1911. Map of the Market of St. Joseph with the numbers of the stalls, 25 November 1877. 1869 – The square soon became too small and the adjacent areas were annexed to it, and in particular, the plot occupied by the former Convent of St. John of Jerusalem, demolished in 1888 to make way for what is now Plaça de la Gardunya. Two years later, in 1871, lighting in the form of gas lamps were installed. 1913 – During this year and the next, two important operations were carried out: the installation of the Modernist arches at the Rambla entrance, designed by the architect Antoni de Falguera,and the construction of the metal roof, in 1914. This work, also designed by Falguera, hailed the end of the period characterised by a sea of stalls which the traders were forced to protect from the elements, and later, the provisional roofs that were installed in 1874. 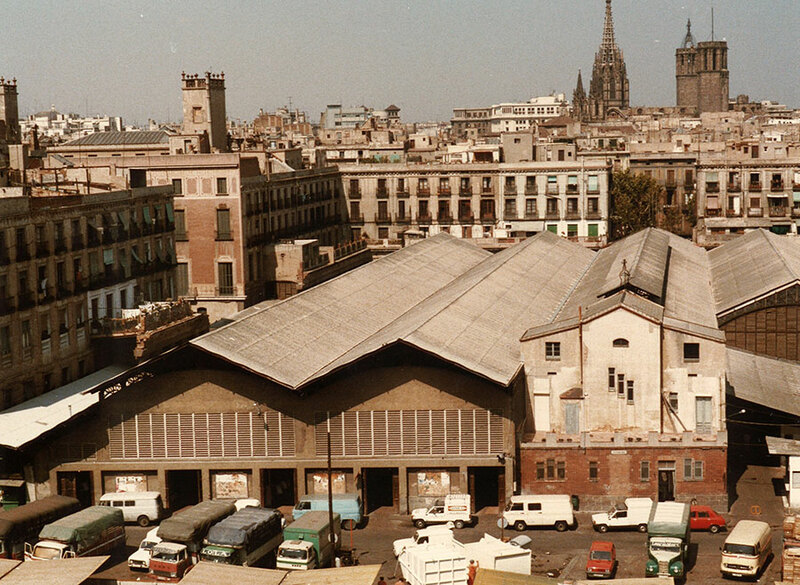 1985 – During this year, the market was remodelled and the loading area and car park were built, following the rejection of the operation proposed by the Special Plan for the Reform of the Interior of the Raval Neighbourhood, drafted by Xavier Sust i Carles Díaz. The design proposed setting back the market to create some free space on the side of the Rambla, and the elimination of Plaça de la Gardunya. 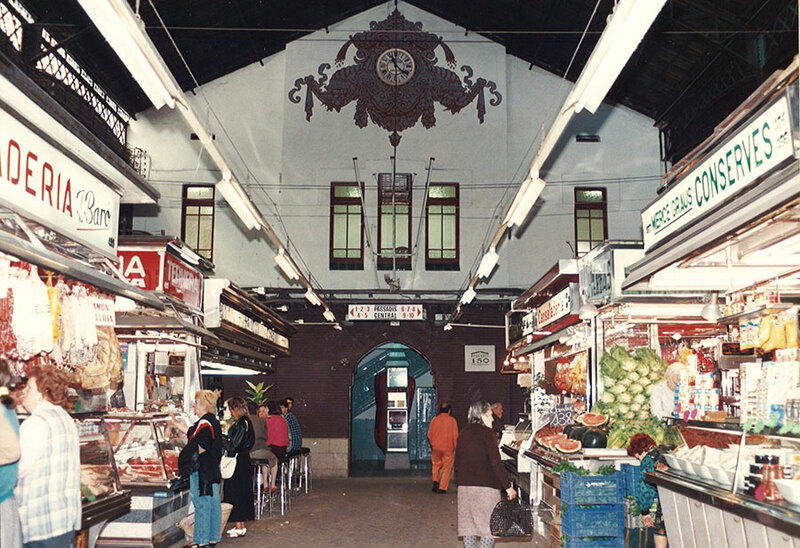 1998 – Between this year and 2001the stall area was remodelled, based on the design of the architects Lluís Clotet and Ignacio Paricio, who aimed to portray the market not as an enclosed building, but as a covered, arcaded square.To that end, the Ionic columns were restored and the perimeter connecting the roof to the arcades was demolished, to permit the entry of natural light. The facilities were also rebuilt, the roof was rehabilitated and a glass awning was built around the market to show off the passages at the side and lighten the Rambla entrance.During this period, the central fish stall area was also remodelled. 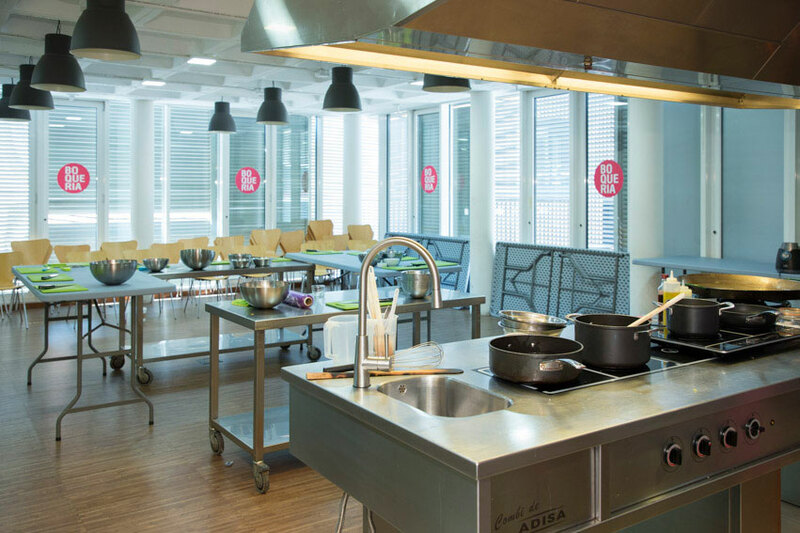 2002 – Creation of Boqueria classroom. Seven years later, in 2010, work began on the underground car par and logistics area, to permit the warehousing space to be tripled and free up an area for handling waste.The work on the car park and logistics area end in 2013, when the Modernist arch at the Rambla entrance was also restored. 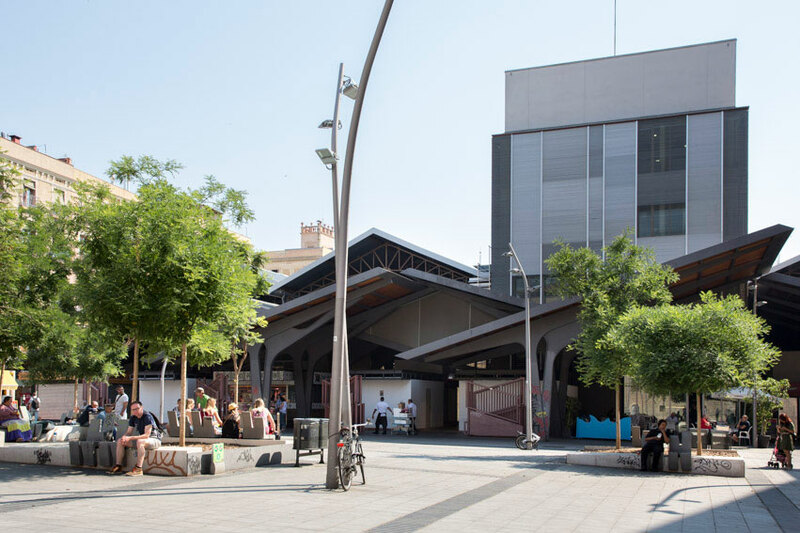 2015 –Inauguration of the rear façade, included in the landscaping project in Plaça de la Gardunya,which gave rise to an increase of 1,000 m2 in the surface area of the market. The extra space was used to build new stalls, and the necessary facilities and goods lifts to perform loading and unloading operations in the logistics area.